Home » Editorials » Make it about the Adventure. Make it about the Adventure. —A couple of quick notes sent to me regarding recent letters, columns and editorials in the paper. Now that’s what I’m talking about. The Silver Queen Beauty Pageant. It’s something I didn’t see (watching high school hockey instead) but heard a lot about. It’s something I definitely want to see next time. That’s what I’m talking about. Cheers to CBMR for putting on something different and out of the mainstream. It was something with flair, fun, energy and edginess. It was apparently a party—a loud, fun party. Listening to stories and looking at photos, the event was an adventure that people will remember. They’ll come back and tell their friends to come back. That’s how things grow. A weird beauty pageant with candy bikinis, synchronized swimming in a bar, Huck and Buck and evening gowns on a mechanical bull and The Gadfly as top-notch MC is not something you’d experience at Applebee’s after work on Thursday in Houston. That’s the point. “Turn up the Music” should be the mantra of the resort. I’m not the smartest guy in the world (or even the smartest guy in the Silver Queen lift line on a Wednesday in January) but my suggestion would be to “Turn up the Music” even louder…especially if we ultimately partner somehow with our T’ride friends in a sort of regional resort opportunity. Comparison shopping demands unique products. Think about more Silver Queen beauty pageants and less winter mini golf. Here’s a quick “branding” idea: Build on Crested Butte’s quirky rep and what we actually have here. Emphasize the fun and adventure inherent in the valley. In corporate parlance, “under-promise and over-deliver.” Embrace what we are, warts and all. Pulling off a quirky, Crested Butte-centric beauty pageant fits into that mold. Crested Butte is different from many winter resorts. We aren’t as big as most. We aren’t as glitzy or smooth as most. We aren’t a normal resort place. 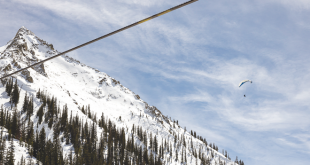 With our old west mining history, our high open mountain valley, the abundantly accessible backcountry, solid acceptance of pretty much anyone, Crested Butte oozes adventure. So “brand” everything that comes out of here with an adventure tag. 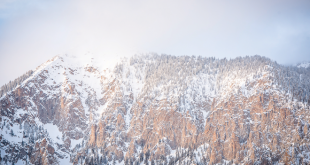 Whether it’s the ski area, the university, the arts community or the towns, push the potential for adventure. When it comes to messaging, obviously you can use a photo of some kid hucking Paradise Cliffs and tag it as adventure. But there is more to it than the obvious. A family learning to snowboard together on Peachtree is adventure. A grandfather showing his granddaughter how to cast a line into the East River can be adventure. A couple sharing a glass of wine in a fine dining establishment can lead to adventure. Seeing a gang of gnomes in a ski race is an adventure for most people. So is skiing a run named Body Bag. Ensure that we can fulfill the message but “adventure” is a message that crosses all sorts of lines and appeals to people looking for places like this, literally at the end of the road. We already have ziplines and an Adventure Park. When permitted, think about expanding the zips to go from the Silver Queen to the top of Painter Boy. We have lifts to the Extreme Limits so push it out further to the new Teo terrain. Summers are already off the charts with great biking and things like a wildflower festival that can rival the Great Barrier Reef in terms of color. If you want to spend big money to expand the adventure theme, perhaps follow a template like Jay Peak in Vermont and bring in an aquatic park complete with a Lazy River, poolside drink service and Flowrider surf waves. Surfing the Butte at 9,300 feet above sea level in January would definitely be an adventure. Locals would use it and guests would love it. The Crested Butte sledding hill qualifies as an adventure. Skiing Irwin is an adventure, and guided side-country skinning tours of Snodgrass could be. Previously, I have suggested replacing the winter mini-golf tent with an outdoor heated disco/bar/barbeque tent. Turn up the Music. A good life lived contains elements of adventure. It’s rarely found in a cubicle in some Dallas office building. Get the cubicle dwellers to visit and experience something out of the mainstream. We have it in spades. It’s one reason we live here. That is what we need to convey to people. Get them to understand that sharing adventure and making memories is something that will last forever. But we have to get over worrying about not being “professional” enough. We have to get over trying to vanilla-ize everything and making sure everything is “safe.” We should embrace our roots and expand on what we are, not what we think we should be to compete with other resorts. Be proudly different. Adventure creates memories and memories are what people seek. Adventure leads to stories that lead to excitement that lead to people having to try this place out and then tell their friends to try this place out. And that fills airline seats, bar stools and concert halls. Crested Butte can capture that vibe. It’s a natural here—but let’s make sure that the vacation experiences tops the “adventure” of getting here. 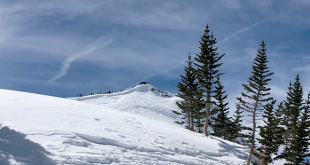 Whether we ultimately team up with Telluride or not, being able to help facilitate those memories frankly comes with some product improvement measures (and dare I say again, perhaps some more value-oriented pricing adjustments). We have to turn the music back up—and then get the word out. The Silver Queen Beauty Pageant was by every account a home run. Nice job. It’s all part of the adventure and that’s what I’m talking about.